Co-curricular Activities [2015-16]	Students active outside the classroom, do better inside the classroom. : Shield & certificate distribution ceremony arranged. All Academic Rankers, University Rankers & Co-curricular Activity Rankers are encouraged & motivated by shield, Certificate & gifts. : They gave the information about Data Warehousing & Data Mining, type and Characteristics of Data Ware haouse, ETL Process of Warehouse, Architecture of Data Warehouse, Different techniques of Data Mining and Practical on Weka is displayed. : They gave the information about Android Studeio, JSON & integration of Java & PHP. : She gave the information about History of Bootstrap, example of Bootstrap, Introduction to Material Design Lite, and Example of MDL, Difference between Bootstrap & MDL. 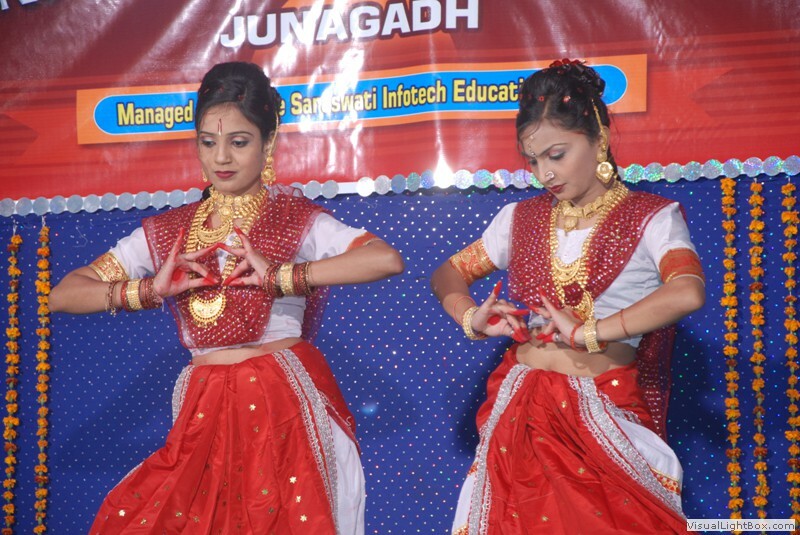 : Students have appear in a test of 30 questions regarding Junagadh. : He gave the information about Overseas Study and Employment. He informed about How to get governmnet help for Overseas Study, How to get visa/pasport, different colleges in different nations. he gave the introduction about Tofel/IELTS Exams. : They gave the information about effect of mobile radiation, how to prevent from mobile radiation, how to use anti radiation chip. They show video regarding mobile radiation. : They gave the information about iPhone and iPad, Architecture of IOS. They displayed video on how to developed application in IOS. : They gave the information about Zika Virus. They inform the students about history of Zika Virus, Symptoms of Zika virus, How it spreads, and prevention. : She gave the information about how VoIP, Skype, Wi-Fi works, static and dynamic IP, Public hot spot, Google Earth, sitemap, How to connect 2/3 PCs. Rank -1 Ladva Amitkumar T.
Rank - 2 Parmar Milankumar B. Rank -1 Makadiya Nirav D.
Rank - 3 Adodariya Janki J. Rank -1 Imani Vasim S.
Rank -1 Katariya Happy P.
Rank - 2 Ardeshna Nidhi R.
Rank -1 Vaishnani Khyatiben R.
Rank - 2 Chaniyara Vaishali C.
Rank - 2 Rajshakha Asha A. Rank -1 Anadani Bindiya H.
Rank -1 Surani Shruti P.
Rank -1 Solanki Gaurav R.
Rank -1 Ladani Shital R.
Rank -1 Chudasama Rajesh N.
Rank -2 Vaghela Nidhi A. Rank -3 Gogiya Maya B. Rank -1 Vaghela Savan D.
Rank -1 Dobariya Krupali D.
Rank -1 Bhut Dhara D.
Rank - 2 Kagaratha Hardik A.
: She gave the information about what is cloud, components of Azure, storage structure of Azure, Structure of Iaas, Paas, Saas, service model of Azure, and how to work with it. : Students of IT Department take visit to Old Age Home (Apna Ghar ) at Sonapuri, Taleti Road, Junagadh, Students & Staff hass collect the fund and gave them a kit to all elders. They serve a sweet and namkeen to them. they spend three hours there and share their emotions. : Dr. Himanshu Kapre gave the information about Geo program and Asst. Prof. Parag Moteria gave the information about Code Ignite Framework with PHP. He explained what it is, what are the applications, requirement and limitations. : He gave the information to the student about what is hacking, types of hacking, types of hackers, and how to prevent hacking using different techniques. : She has given the information about AnjularJS. She informed the students about Advance Directives, Filters, Controllers, Repeat, etc. : Seminar on "Information about GSBTM and National Entrance Exam" is arranged in college. Entrance exam is arranged on the same day. Qualified students in the Entrance exam are selected for GSBTM Workshop. Rank - 2 Zatakiya Nirali D.
Rank - 3 Aghera Bansi K.
Rank - 3 Kalariya Riddhi H.
Rank - 2 Vesara Kishan J.
: She has given the information about Hadoop. She explained what is big data?,Big Data Tevchnologies, Hadoop Architecure, MapReduce, Hadoop Distributed File System, Application of Hadoop, etc. : Students visited the Gaushala for Two Days. Here students are informed about Cow, products of Cow, how it is important for human life, etc. They got the information about Vasmo System, Organic Farming, etc. : The birthday of Swami Vivekanand 12th January is celebrating as Youth Day. A G. K. Test is arranged on this day about Swami Vivekanada's life and work. 80 students has participate in this competition. : The birthday of Swami Vivekanand 12th January is celebrating as Youth Day. A slogan writing competition is arranged on this day. 76 students has participate in this competition and has prepared a posters of Swami Vivekananda's Slogans. : Students are informed about the various aspects of personality development. What is Personality, Skills to develop the personality, body language and behaviour is included in this seminar. : A Yog Session is arranged for Students. Mr. Maheshbhai Mehta Came to college and explain importance of Yoga and arranged the practical session for students. Students did different Aasans, Pranayam and Simple Exercises. : CCSIT has a rich library with 4000+ Books on Computer Science, Biotechnology, Microbiology, Chemistry, Mathematics and many more subjects. Students get information about this books a Library Day is arranged for Chemistry Students. All SEM-2,4,6 Chemistry & Maths students are visited this exhibition and get the information about the books available in Library. : An Essay Writing competition is arranged on the occasion of 125th Birthdday of Dr. Babasaheb Ambedkar at Bahauddin Science College, Junagadh. The subject was Dr. Babasaheb Ambedkar's Biography" Kavar Trusha [B. Sc. -SEM-6] and Solanki Shivangi [B. Sc. - SEM-4 ] has participated in the same. Kavar Trusha [B. Sc. -SEM-6] has got THIRD Rank in this competition. : He gave the information regarding foreign education. How to get adission in different countries and what are the process for the same is explained. : B. Sc. (IT) & BCA SEM -6 students has participate in programming compettion. Student has prepare the programs in C Language. : B. Sc. (IT) & BCA SEM -2 students has participate in programming compettion. Student has prepare the programs in C Language. : B. Sc. (IT) & BCA SEM -4 students has participate in programming compettion. Student has prepare the programs in C Language. : Girnar Safai Abhiyan is arranged by Forest Department. 53 Students of F.Y. B. Sc. went to South Range Forest, Junagadh. After Girnar Parikrama plastics and other garbage is spread in the forest. Students clear this garbage from Bordevi to NalPani ni Ghodi area. : CCSIT has a rich library with 4000+ Books on Computer Science, Biotechnology, Microbiology, Chemistry, Mathematics and many more subjects. Students get information about this books a Library Day is arranged for IT Students. All B.C.A. and B. Sc. (IT) students are visited this exhibition and get the information about the books available in Library. : An Elocution competition is arranged on the occasion of 125th Birthdday of Dr. Babasaheb Ambedkar at J.C.E.T. Law College, Junagadh. Mansi Kalariya (B. Sc. IT-Sem-IV Student) has participated in this competition. : She gave the information about Microsoft Virtual Academy [MVA]. She inform the students about tutorials, books, tests available on MVA. How to get the turorial of different courses in video, ppt and pdf format. She motivate the students to improve self learning through MVA. : They give the practical demonstration on Working with Storage API. They explaind Database Connectivityusing SQLite Database, Working with Shared Preferences and files. : They explained hidden science behind our different religious activities like why we worship different trees, why we are celebrating different festival etc. : She gave the information about different types of Mosquitoes, how they spread the dieses and how to protect ourselves from Malaria, Dengue & Filaria She shows different videos on the same. : He gave the information about TCS Ignite Program. He shows how to work with TCS Ignite website. he gave the information about how to do the registration, how to submit different work in your A/C, Interview procedure, etc. He share his current training experience at TCS.